TYLER — We’re used to being on the lookout for deer while driving — but come mid-fall, you’ll want to be super careful. 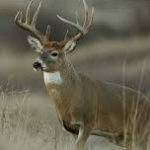 Deer mating, or rut, season is fast approaching; that’s when does go into heat. Smith County Game Warden Chris Swift says the bucks will have one thing on their mind. Swift says the bucks are very elusive for 95 per cent of the year. 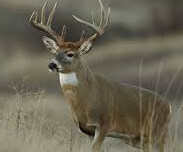 But he cautions that once they get on a doe, they’ll run through a back yard — and are sometimes seen in downtown Tyler. According to Swift, “It’s just kind of a crazy time” of the year, though it only lasts for two or three weeks. Swift says the rut season in East Texas runs from Halloween to Thanksgiving, but it’s earlier closer to the coast. He says it keeps troopers busy answering car versus deer wrecks.